Bob Lemon made the big leagues as a third baseman and entered the Hall of Fame as a pitcher. 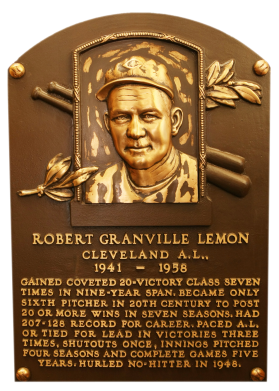 Switched to pitching during World War II; Lemon won 20 games for the Indians seven times from 1948 to 1956. He led the AL in wins three time and complete games five times. He had a career 207-128 record for a .618 winning percentage. As manager, he took over the Yankees in mid-1978, overtaking the bumbling Red Sox from 10 ½ games back and leading the Bombers to a world championship. 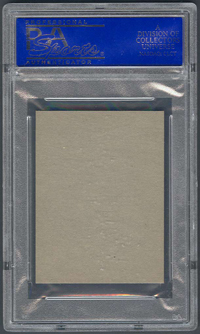 Comments: I picked 1958 Topps as the first portrait for Lemon and at some point in the early 2000s won a PSA 7 White Letter (WL) example. 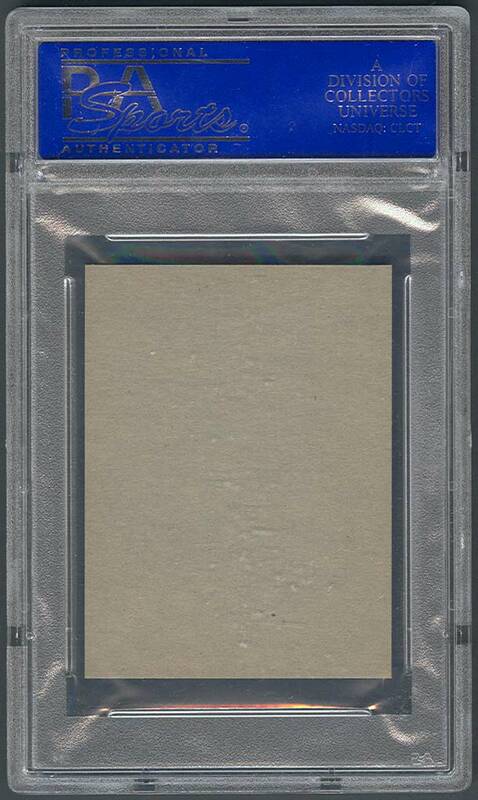 The card was eventually replaced with a Yellow Letters version also graded PSA 7 and then a SGC 88 WL in Feb, 2007. I also had a Hank Aaron in the 1958 set. 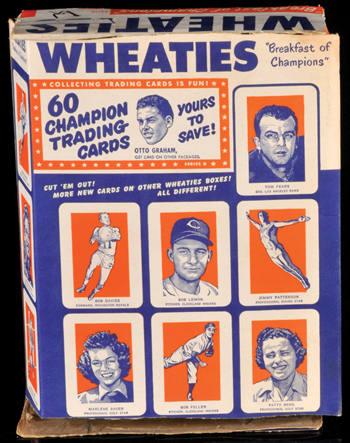 So, in Aug, 2007 I won the 1952 Wheaties card pictured in a Mile High Card auction as a new type. Description: These 2" X 2-3/4" cards appeared on the back of the popular cereal boxes. 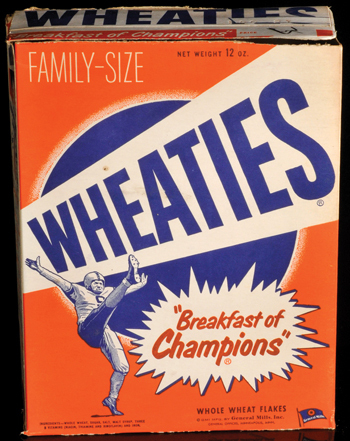 Actually, sports figures had been appearing on the backs of the boxes for many years, but in 1952, of the 30 ahtletes depicted, 10 were baseball players. That means there are 20 baseball cards, as each player appears in both a portrait and an action drawing. The cards have a blue line drawing on an orange background with a white border. The player's name, team, and position appear at the bottom. 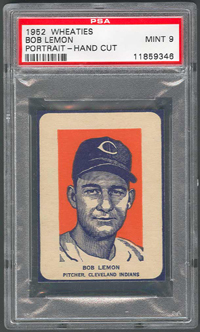 The cards have rounded corners, but are often found poorly cut from the boxes.